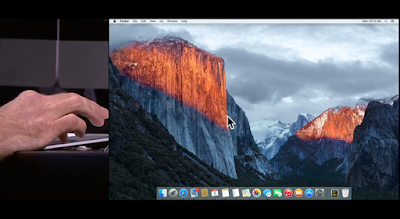 OS X El Capitan (Apple's new OS) : Explained ! If hardware is the skeleton of a computer, a proprietary Software is it's skin & flesh. That being said, There are 3 Major players that always bring up enhancements to their operating systems over the course of a year, Microsoft (Windows), Apple(OS X) and Linux or maybe 4 if you take Chrome OS( based on the Linux kernel) (Google), how about just to keep them in the game, hehe. But more importantly, a common man deals with either Windows or OS X. 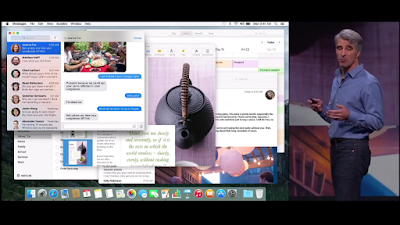 Even if you either love or hate the visuals of the Tiles in Windows OR the flat look of OS X, you got to deal with it, Now though you can disable those tiles in Windows, What about Apple?. Well, Apple recently had their developer conference, where they showed the latest version of OS X, but does it live upto Microsoft's Windows 10? Let's find out. Apple got tired from those sea leopard names, and moved up to popular places to get their names like OS X Mavericks, Yosemite, & This time its OS X El Capitan. Is this a major update ? Nope, it isn't. This update focuses on improvements to User Experience and Performance. Basically when you turn on your Mac laptop (or any OS X device), first thing you always do is find the cursor, isn't it? Well sometimes it takes a while to find it, depending upon the background we have chosen as it blends in. But Now, simply do that Shake(scribble) Gesture on your trackpad & the mouse cursor becomes bigger enough that it's visible to you, up until you're wobbling that thing. Also now, while you're in Mail app, you can simply swipe right with those two finger gestures to mark Unread & Swipe left to delete, incoming or existing messages. You can now Pin sites in Safari, by dragging the particular tab to the left edge of the tabs, henceforth Bookmarking got alot easier. Sometimes when you open up multiple tabs, you suddenly hear a video(ads MKBHD) playing out loud, and you are scramble to just lock it off..! Well now, simply head over to the Address bar in Safari, as now a mute toggle will appear there, simply click to mute or hover on it, to find out on which tab video is playing, head over to that tab or Simply close it rightaway. Great job Apple! Spotlight search gets even better as now you can try your own words, instead of few pre-loaded commands. Now you can type, " Show me documents of my car regarding insurance" ( That is if you have created that particular document on your Mac ) You will get the results instantly, Same goes for your Missed mails from some of your friends. In the Mail app now you can perform search like, " Show me mails from "Name", i missed "!. Even find older documents, mails which can be accessed via Finder tabs. When you work on a mac machine and open multiple apps, it often gets messy. 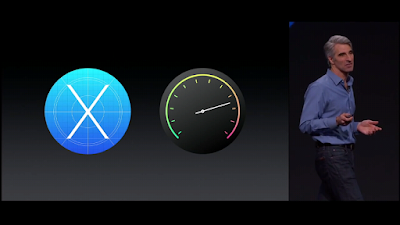 But with Mission control, now you get a brief new overview of all running apps, with a 3 fingers swipe-up gesture. Then simply select the app you have been looking for instead of finding it via killing some apps. You can even snap 2 windows side by side, just tap and hold the green maximize button snap the window on either left or right, then you get overview of apps opened up at the moment select one and there you go, Splitscreen view. This was a feature exclusive to Windows 10, until now. Creating desktops is now as simple as dragging an app across the top-right edge, just drop it on the + icon & that's it you have created a desktop. For those who don't know what desktop's in OS X is, just consider it's an another display. 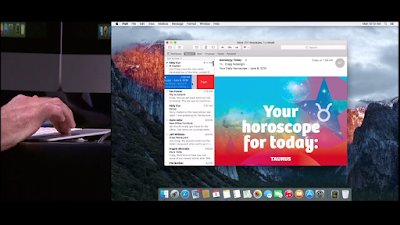 Splitscreen Apps can also be made full screen & dropped into desktop's spaces bar. 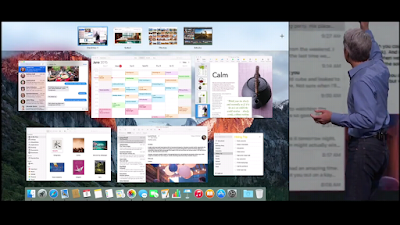 Quicknote : With four finger left-right swipes, you can move across desktop's and Apps. Apple claims that now Apps load up 1.4X times faster & Switching between apps has been improved 2X times, Mails load up times are now 2x times faster, while pdf viewer also loads up 4x times faster. In 2014, Apple introduced something called Metal, which is an graphic Api that allows any game to run at higher frame rates as Metal allows the game to take the full advantage of the Graphics Processor laying inside, instead of the Standard Open GL Api. 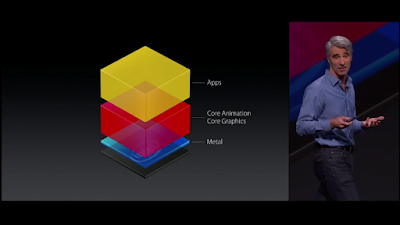 Well now the same can be observed with Apps, as Metal makes its way to Mac. Apple claims that they've observed upto 50% increase in rendering apps & in turn 40% of reduced CPU usage, which means it'll not heat up your machine very often, while you are performing some high graphic intensive tasks! Thus Increasing your battery life, considerably. Metal really does a great job in increasing the draw call rates combining both the Open Cl & Open Gl, thus increasing performance. Thus it also shows 10X improvements in graphics & performance of any Game. Those of you Content creators online, your are going to love this, Adobe already took a sneak peek at the Apple's metal api and updated their apps accordingly. Adobe says they've seen upto 8X times faster rendering effects in after effects, Also now in illustrator users can now zoom into minute details, to craft their work precisely, thanks to Metal. 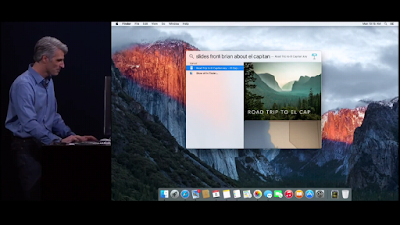 So El Capitan is already available to developers, link : El Capitan. 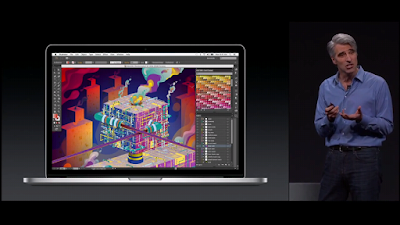 It'll be available as a public beta starting in July & will be rolled out to Mac users in the fall. 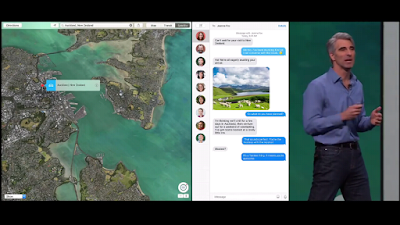 Also See : iOS 9 features : explained! Watch OS 2 features : explained!